With the 911 Restoration Stockton offices opened every day, all year round, homeowners can rely on the mold removal Stockton techs to be available 24/7/365 for assistance. 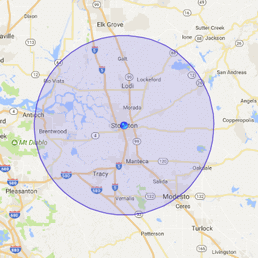 Our mold removal Stockton staff is always on call, with service agents waiting to assist you with any mold and water damage issue you may be dealing with. 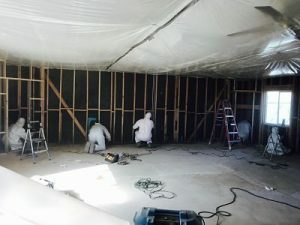 Our mold removal Stockton specialists work with IICRC certified technicians who are trained to provide you with top of the line services that include innovative mold removal techniques. We want to be the company that gives you the fresh start you deserve. So, call our mold removal Stockton today for immediate assistance! 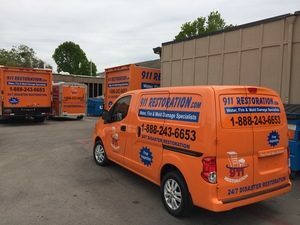 When a massive flood or leak invades your home, our mold removal Stockton team want to take immediate action to both pump out the water and dry the premises to prevent mold from forming. Our mold removal Stockton staff know that it is important that business and homeowners understand that even small issues, like a persistent leak under your kitchen sink, need to be mitigated quickly in order to prevent an infestation. The reason that even these minimal problems need to be pursued by our water damage Stockton technicians is because consistent dripping can lead to excessive mold growth, which can eat away at your walls and flooring. Our mold removal Stockton agents has many years of experience renovating mold, fungi and mildew, along with having the skills and equipment needed to get your property decontaminated. Home and business owners should also keep in mind the effect that mold can have on your health. When you inhale mold spores for a significant period of time it can cause you to experience allergy symptoms and respiratory issues. So, if you notice that you begin sneezing, coughing, wheezing or experiencing headaches whenever you spend time in your property, you should have our mold removal Stockton team inspect the premises for mold growth. Call our mold removal Stockton specialists as soon as you notice any dampness anywhere in your home and we will provide you with comprehensive mold removal services today. Our mold removal Stockton pros know how overwhelming it can get when you are dealing with an infestation of mold and mildew. 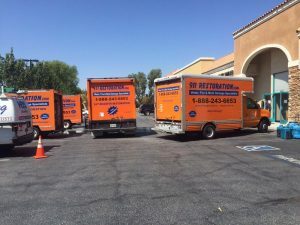 This is why when you call our mold removal Stockton team, we want you to know that from that moment on we have got the situation under control. Customer service is very important to our mold removal Stockton crew, and we will do whatever it takes to make you feel comfortable with the cleanup process. You can rely on our mold removal Stockton team to go over your insurance policy with you and see if the water damage and mold issue is covered in your plan. And if you need help filing your insurance claim, our mold removal Stockton technicians are more than happy to do it for you. We know what information the insurance companies need in order to get you maximum coverage, so you can relax while our mold removal Stockton staff members communicate with your representative. Call our mold removal Stockton experts at 911 Restoration Stockton today, and we will get you affordable prices on mold extraction services in no time.